Luxurious deep seating and wide armrests make our Amari Modular Seating Collection an elegant composition for any setting. The combination of extra wide and thin all-weather wicker offers an elevated designer look. 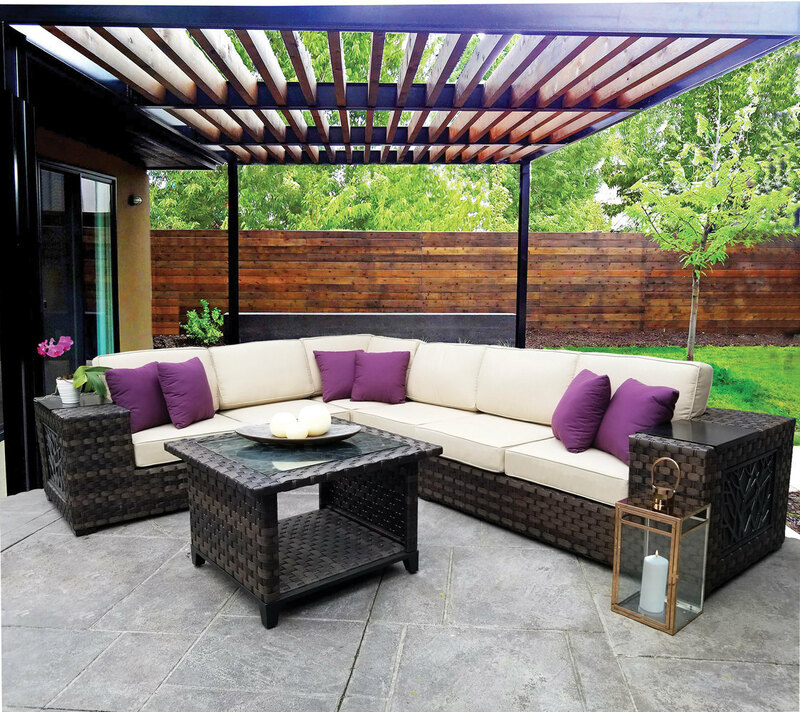 Complete with thick, high-density foam cushions covered in Sunbrella fabric are included and harmonize perfectly with the multifaceted tones of the wicker. Rust-resistant, aluminum frames provide sturdy support and are light enough to quickly arrange with ease. Aluminum plate for arm and ottoman included.